Attorney Gilbert Sperling, III, "Attorney Gil" is dedicated and committed to legal issues that threaten justice within the United States. His practice is not limited to Criminal Defense. He also practices Personal Injury. However, a bulk of his legal experience comes from criminal defense. He started his career as an Intern at Bxonworks and then worked as a Law Clerk at the Los Angeles County Public Defender's Office. While he was at the Public Defender, he worked with hundreds of clients accused of a variety of crimes. The experience that he gained at the Public Defender was invaluable and has helped him shape his career. Upon graduating law school, he moved to Atlanta, GA where he founded Law Offices of Gilbert Sperling, III. 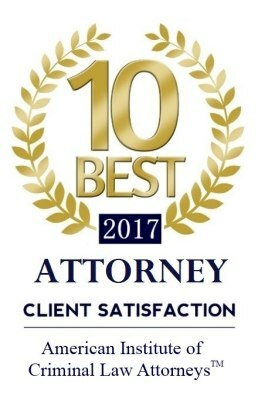 Throughout his legal career, Attorney Gil has fought and received mutilple dismissals in a wide range of charges including Armed Robbery and Aggravated Assault. Attorney Gil have taken cases throughout the State of Georgia and has appeared in Federal Court. If you are a loved one are facing criminal charges or have suffered an injury, do not hesitate to give Attorney Gil a call at 404-418-7816. Gilbert earned his J.D. from New York Law School and his B.A. in Political Science from California State University, Dominguez Hills.